If you have some DIY experience, routine electrical repairs are well within your reach. Many homeowners can repair flickering lightbulbs, dormant receptacles, and switches that don’t work using the right tools and techniques. You may already have some of the tools needed for home electrical projects, especially if you do a lot of repair work around the house. Other tools are more specialized and are worth owning because they’re usually inexpensive, make the work easier, and yield better results. The tools here will help with just about any simple job you may encounter. Turn off the power to any circuit you are going to work on at the service panel before you begin. Make sure the circuit is off by using a circuit tester to see if there’s any power coming through. Never remove the cover of the panel without turning off the main service breaker at the top of the box. If at any point you’re not sure what to do, stop and call a licensed electrician. This inexpensive device checks for the presence of electrical current on wire ends, switch terminals, receptacle slots, and other locations. It has two short wires with receptors that are held to the white wire and black wire of any outlet connection. 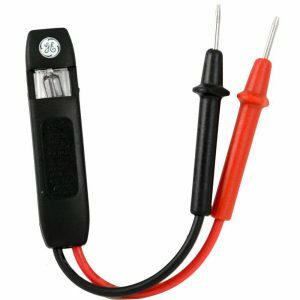 If electrical current is present, it will travel through the wires and light up a small bulb in the middle of the tool. Even if you’re sure that you have turned off the circuit power at the panel, double check the components you’ll be touching with this tester before you do anything else. This tool does any number of electrical chores, like twisting the ends of wires to fit around terminal screws, reaching deep into an outlet box to pull out wires, and holding cable staples in tight spots so they can be driven by a hammer without your fingers getting in the way. They come with grooved jaws to better grip items and a wire cutter to trim wires to length. This tool is heavier, stronger, and longer than needle-nose models. It’s designed to cut cables to length and pull cables through clearance holes in framing members. 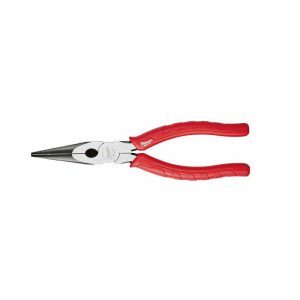 While some of the work these pliers do can be duplicated with other tools, they’re ideal for jobs that require lots of cutting. 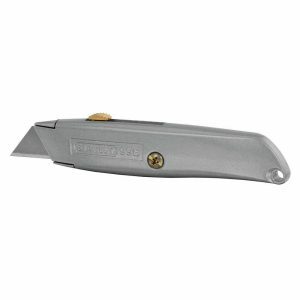 This unassuming tool has two metal sides (joined by one screw) that hold a razor blade in the tool’s nose and four or five replacement blades in the body. Use one to quickly cut a hole through drywall for a cable or to slice through insulation to reach an electrical box. 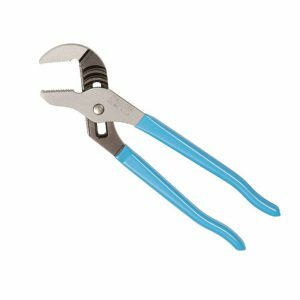 Wire strippers remove the insulation from the ends of wires so they can be joined together or attached to a device like a receptacle, switch, or light fixture. When the tool is adjusted properly, it can remove this insulation almost instantaneously without damaging the wire underneath. This tool comes in many different styles and sizes. The bigger models generally have more capabilities, but the smaller adjustable units are inexpensive and work great. 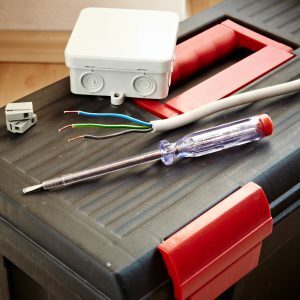 Most DIY electrical work requires a screwdriver, whether you’re removing receptacle and switch covers, replacing light fixtures, or attaching cable wires to junction and fixture boxes. Although some specialized screws require distinct screwdriver tips, most are either slotted- or Phillips-head types. 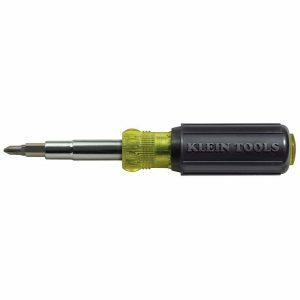 Opt for a single multi-tip model (with various sizes of slotted- and Phillips-head tips stored in the handle) to save space in your toolbox. 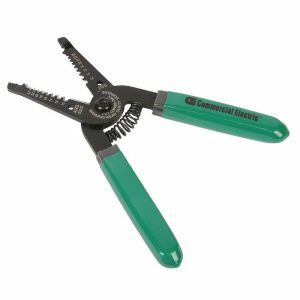 This adjustable tool is identified by several different names — tongue-and-grove, pump, and slip joint — and comes in many different sizes, typically from 5 to 18 inches long. 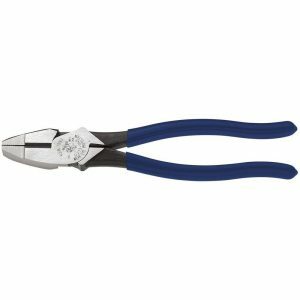 These pliers are designed to loosen and tighten big nuts and bolts and to hold unruly wires when twisting their ends together and turning on a wire connector. 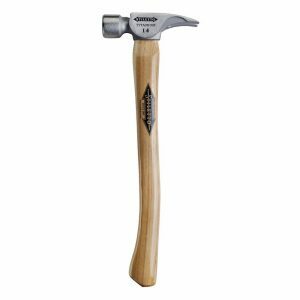 A 16-ounce claw head hammer is the tool of choice for driving and pulling out cable staples, striking a screwdriver to remove electrical box blanks that cover cable holes, and nailing outlet boxes to framing members inside the house walls and ceilings. Choose a model with a wood, solid steel, or fiberglass handle, or one with cushion grips for comfort. Spade bits are designed to drill big holes, typically up to 1½ inches in diameter. The cutting edges on spade bits are just flat pieces of steel with two sharpened edges. 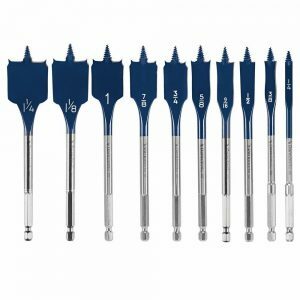 The large bits are less expensive than the same twist drill diameter, and spade bits are much easier to sharpen — all you need is a basic metal file. 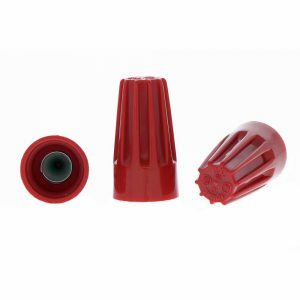 These bits are perfect for drilling holes for electrical cables. Most cables are about ½ inch wide, and you often need to put two or three cables into a single clearance hole. 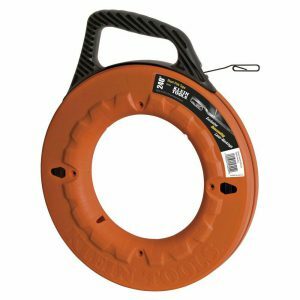 This tool helps you reach inside walls, floors, and ceilings to “fish” electrical cable into places that are not easily accessible from outside. Typically, this is done when you want to add new light fixtures, receptacles, cable outlets, and switches. Open a nearby electrical outlet and slide the lead end of the tape into the box and through one of the cable openings inside. Wiggle the tape up and down and side to side to establish a route between the box you started at and the area where you want to install a new box. Try to stay within the same stud or joist cavity. Once the tape reaches its destination, cut a hole in the wall or ceiling and pull the end of the tape through. Tape the end of an electrical cable to the end of the tape, and carefully pull the tape back into the first box while someone else feeds the cable into the hole from the other end. Remove the fish tape and install the cable in the first box. Then install the other end in a new box and attach this box to the opening, using the hardware that comes with the new box. Attach the fixtures, turn on the power, and check that everything works properly. These simple devices hold the ends of wires together to form a sound and durable electrical connection. They come in different colors (usually blue, red, yellow, and orange) to indicate the different types of wires that can fit into a specific connector. Typically, you should strip about a ½ inch of insulation from the ends of the wires, twist the bare ends together with pliers, and then twist the wire connector over the top to complete the connection. Keep these tools on hand to take care of any small electrical tasks around the house. When equipped with the proper gear, the more quickly and easily the project is done. Steve Willson was the home improvement editor for Popular Mechanics magazine for 22 years and owned a carpentry contracting business in Rochester, New York. He has also written three books about home improvement and tools and now also writes for The Home Depot. On The Home Depot’s website, you can see a wide range of electrical tools for your home’s toolbox.